Motorola Philippines opened its kiosk in SM Batangas, its first retail kiosk outside Metro Manila and fourth local retail store after penetrating the Philippine market last year. The opening of the new concept store in SM Batangas marks the brand’s continuous effort in solidifying its presence in the country. 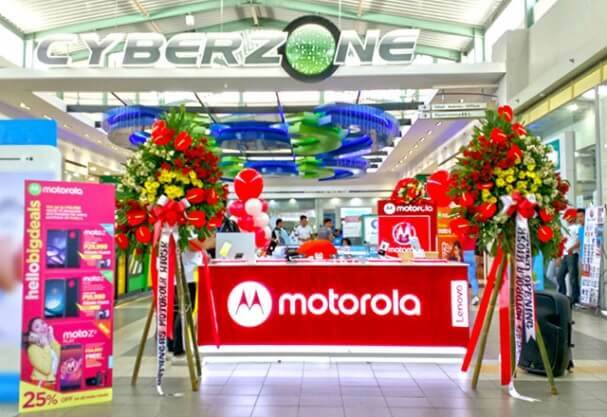 Two months ago, Motorola opened its retail kiosk in Cyberzone, Mall of Asia, while its first two concept stores are located in SM Noth EDSA Annex and SM Megamall. “We aim to cater to the smartphone needs of all Filipino consumers, including those outside Metro Manila. We stay true to our promise of making the Motorola experience available to every Filipino consumer with our lineup of entry-level smartphones, midrange models and premium offerings. As we open our first retail kiosk outside Manila, we assure that more opportunities to bring Motorola closer to Filipinos will open before this year ends as we create more consumer engagement through experiential activities and communications,” John Rojo, Country Manager, Lenovo Mobile Business Group Philippines, said.